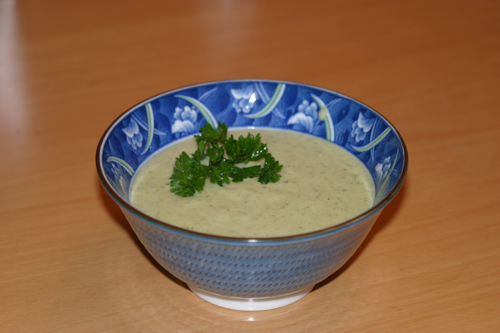 Just a few days ago, Anne of Papilles & Pupilles published a recipe for a Soupe aux herbes or as I prefer to call it, an Herbs and Leek velouté (a thick, velvelty soup). Somehow, the combination of fresh tarragon and leeks seemed hard to resist, so I made my own version today. Add pepper to taste (the chicken stock is quite salty already).